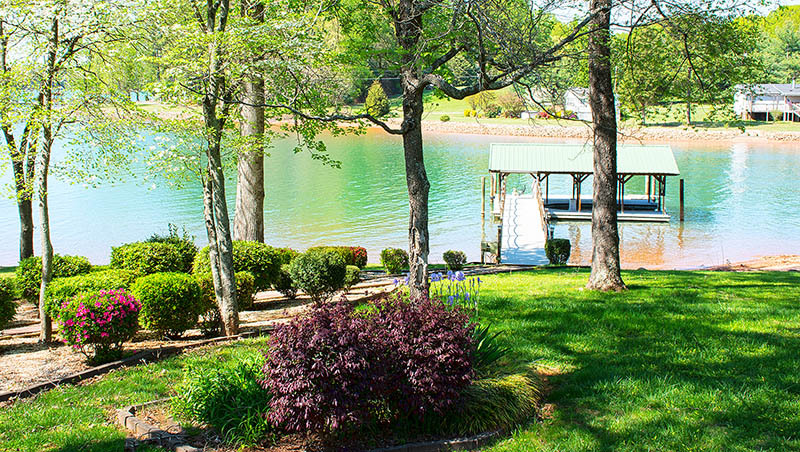 Château Camino has three things you won't find at many Lake Norman vacation homes: Location, Location, Location. 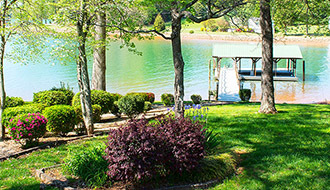 Popular Lake Norman communities like Davidson, Cornelius, Huntersville and Mooresville are only minutes away. 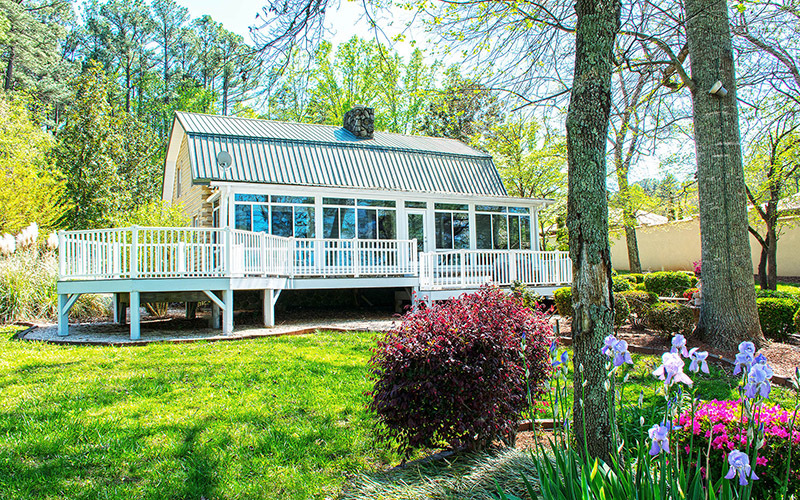 Uptown Charlotte is just a half hour away via Interstate 77. 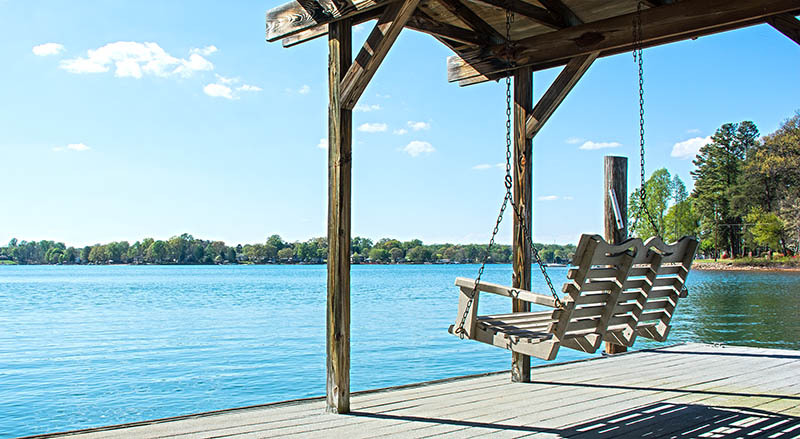 Located on a quiet cove that opens up to popular main channel, the home is only a short boat ride away from many of Lake Norman's most popular lakefront restaurants and attractions. 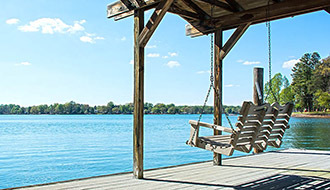 Château Camino includes a beautifully landscaped lot with a path leading to the covered pier where you can enjoy the view and fantastic sunsets sitting on the dock swing. 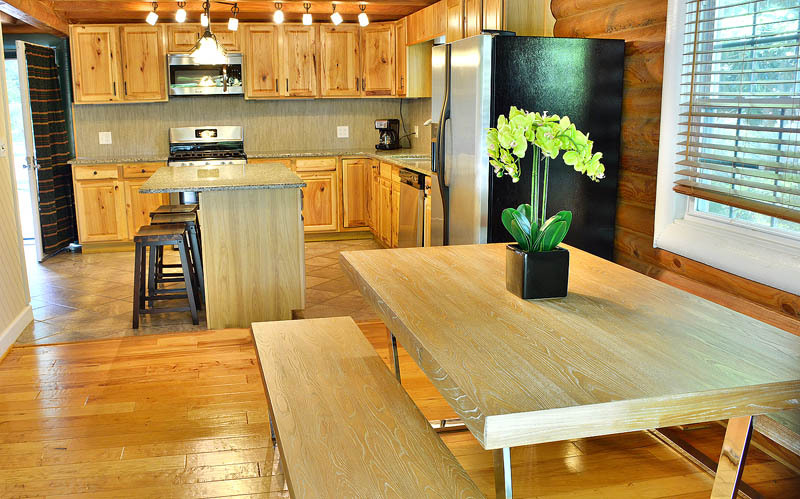 Inside this rustic authentic cabin are new furnishings and cozy living areas. 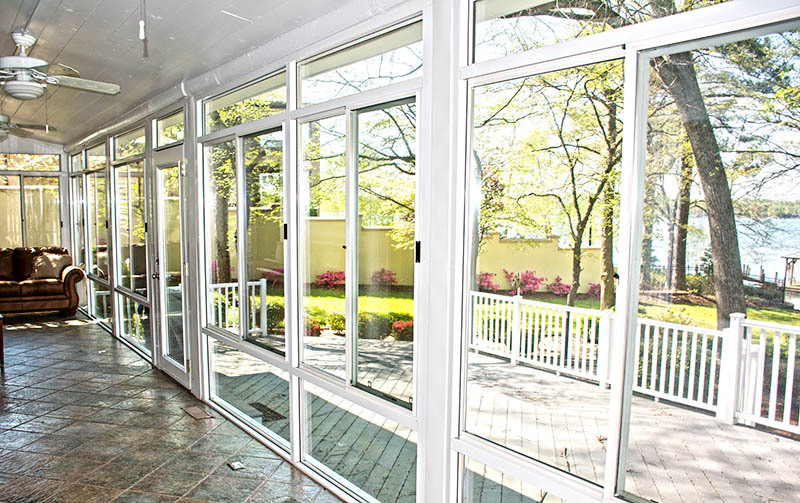 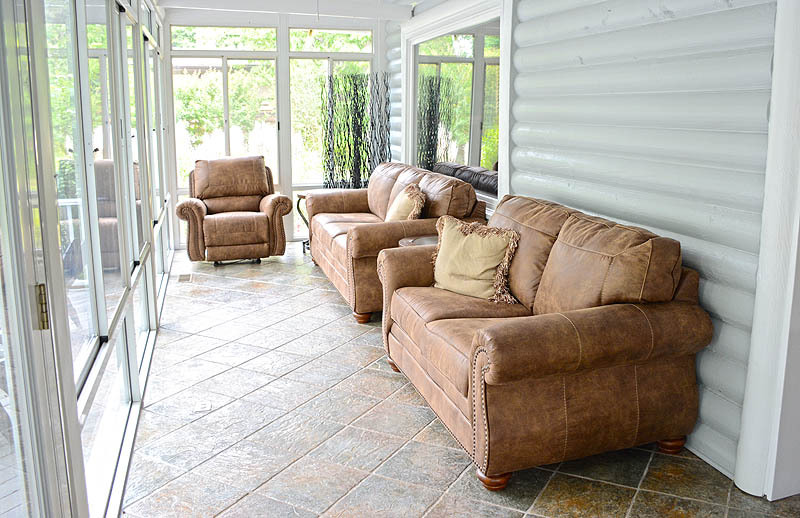 A sun room extends across the entire back of the home. 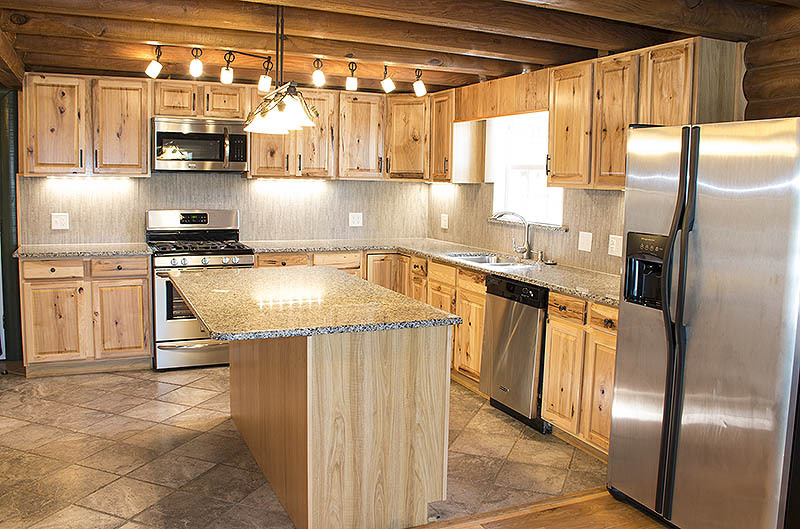 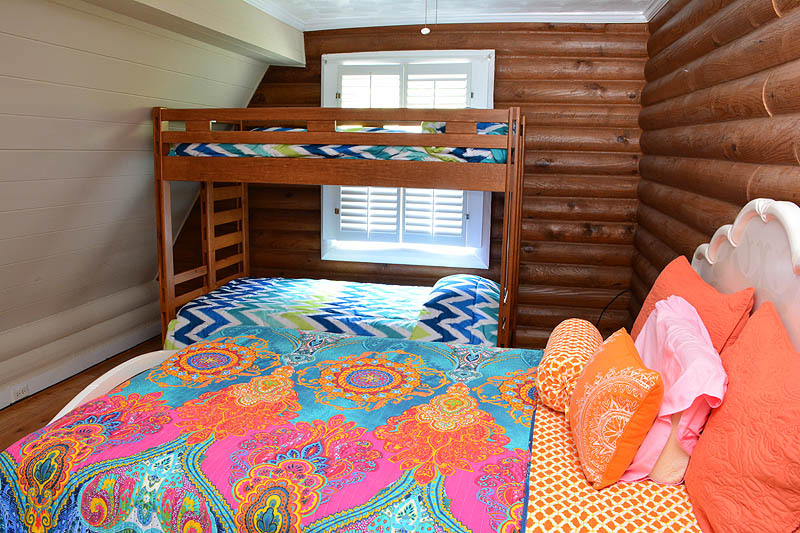 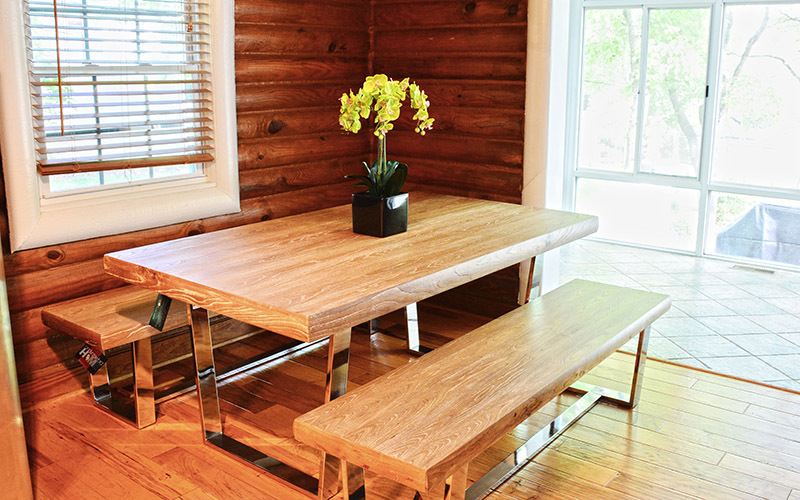 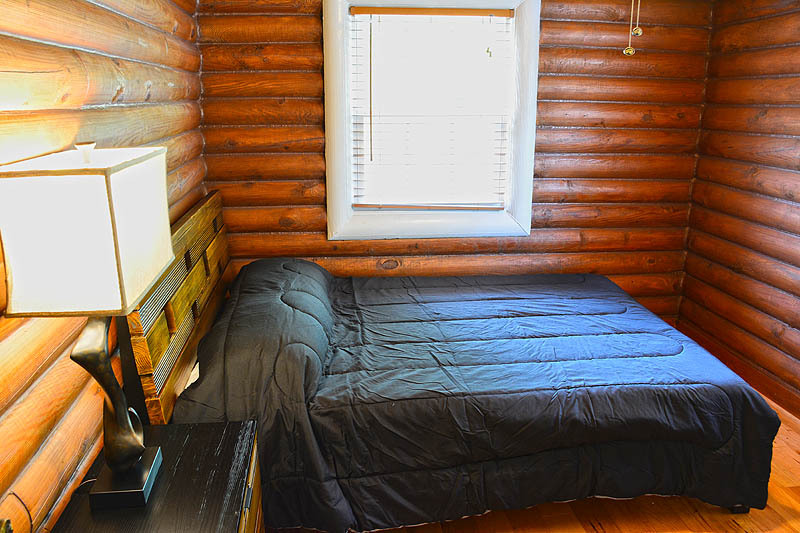 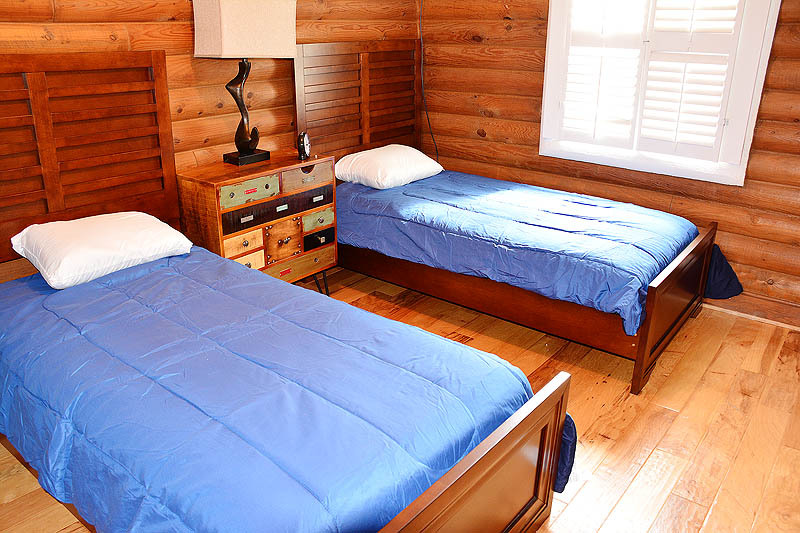 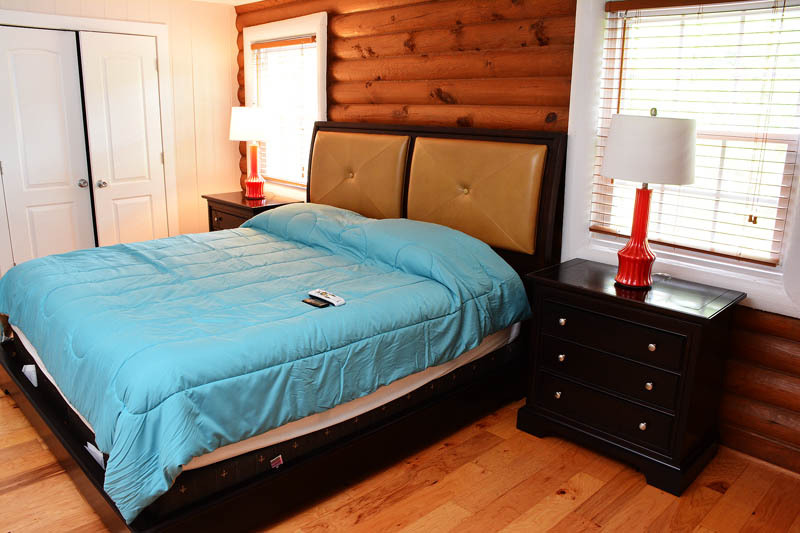 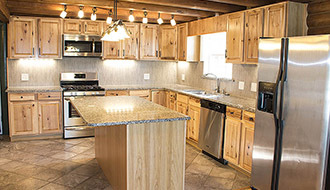 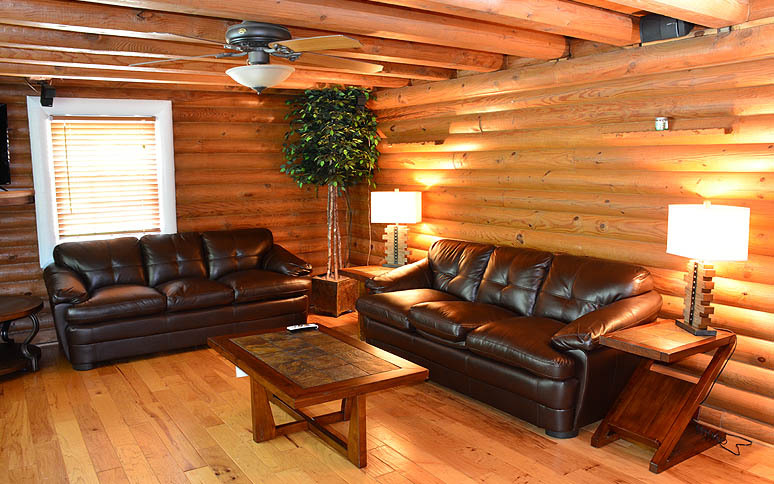 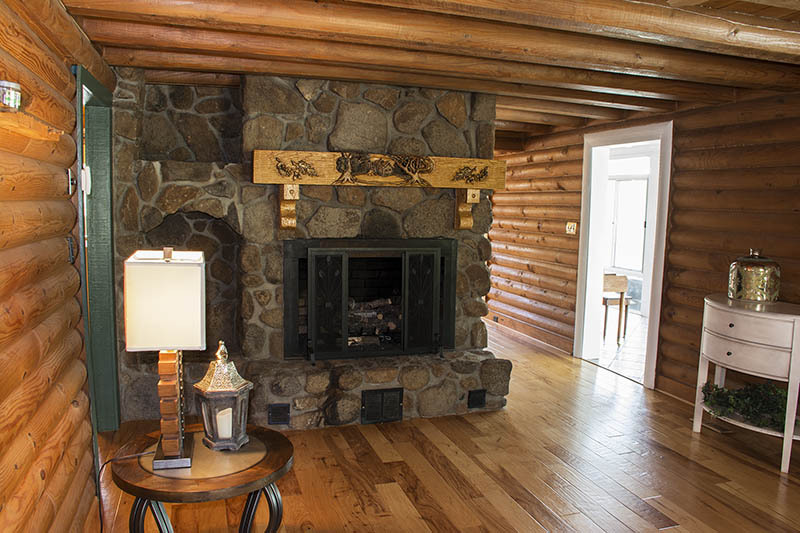 This beautiful log cabin vacation home is conveniently located near Davidson, Cornelius and Mooresville by car, and many of Lake Norman's most popular lake front restaurants by boat. 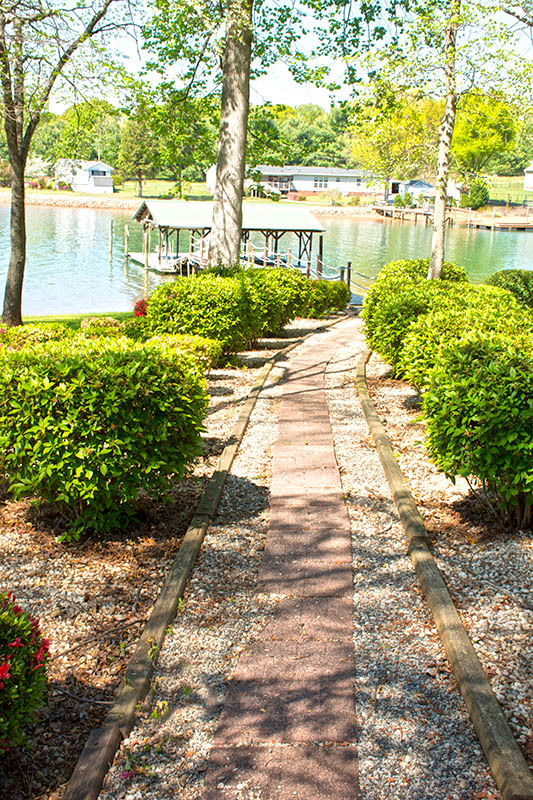 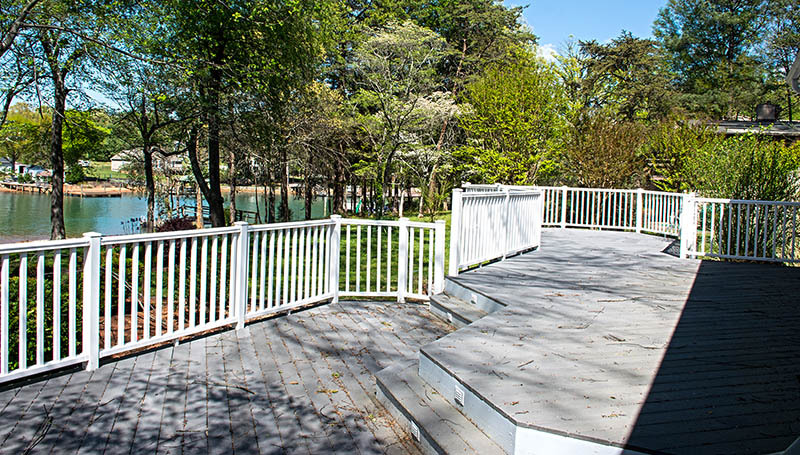 Families will just love the attractively landscaped lot, large back deck and sunsets from the covered boat slip. 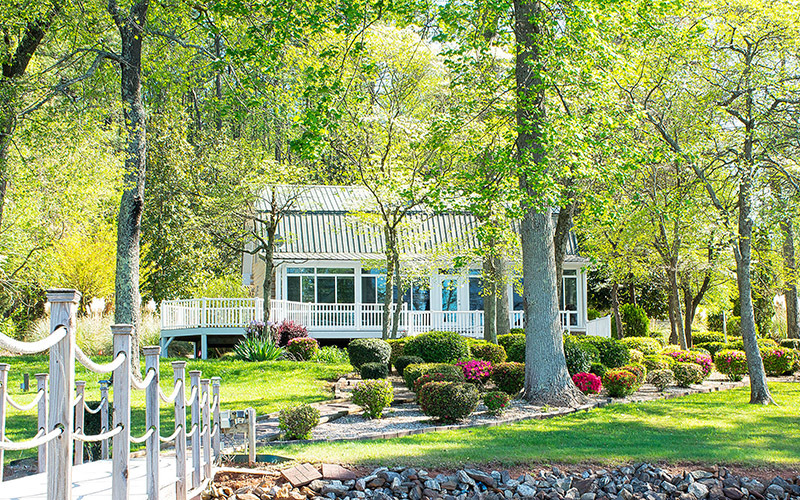 Deep water cove for swimming, floating, paddle boarding, etc.